Back with another edition of Journeys in the Disney Vault. I should mention we’ll see this series next week but once October hits we’ll only see it once as there’s a Halloween themed Disney animated film I’ll be including (astute viewers should know what it is). After October the series will continue as normal. Sorry to throw a curveball into things, especially since I finally got this series on-track but these things happen. Anyway today is a happier movie than Fantasia, I mean happier in that it’s got a happy ending. It’s the 1941 film Dumbo, a movie that makes almost everyone I know sob. Seriously, if you don’t cry at some point during this film you must have a heart of stone. The animation on this is far from perfect, as you can tell if you bought the recent Blu-Ray/DVD or have an HD television, due to the limited budget Disney worked with it. Aside from that and it’s feeling of being like a Disney short at times, the film still has heart and a kindhearted (somewhat) message about rising above intolerance and accepting your differences. Circus elephant Mrs. Jumbo is blessed with a beautiful baby boy who sadly has large ears. When the other elephants and visitors to the circus make fun of the tiny elephant Mrs. Jumbo snaps and is locked away. Left alone the baby, dubbed Dumbo, is all alone until he meets a kindhearted mouse with dreams of stardom. Dumbo hoped to be a return to form for Walt Disney Productions after the dismal failures of Pinocchio and Fantasia at the box office. Due to their issues this film was given a modest budget and was tightly scripted and produced and ended up making more money at the box office than the former two films combined. The tight budget prevented it from having the intricate detail as the past films and this is evident during the aerial sequences and long shots. Watching this is absolutely gorgeous on Blu-Ray and HD as all Disney movies are but in certain sequences the animals look like outlines with color and zero detail. The film did use watercolor backgrounds and ended up being the last film to do that until Fantasia 2000 (which I just realized I’ll have to watch…great). When you get the introduction of Timothy Mouse and see things from his angle you can really see those watercolor backgrounds as the individual brushstrokes are evident and they all look like frames of art, as they should. With that being said Dumbo is an altogether odd little film; good but odd. You have an RKO logo preceding the Walt Disney one as RKO was the distributor which I didn’t know. Not sure if RKO distributed other films in Disney’s canon but it was a fun thing to notice. We have the return of the themed opening credits this week with beautiful big top images! I haven’t seen Dumbo all the way through in a long time (in fact the last time I saw any part of it was at the Disneyland Hotel two years ago). At times it feels like a Disney short cartoon, not surprising considering RKO felt the 64 minute runtime was too short to be a feature length film (which were 70 minutes) and too long to be a short. The animation is like a short, the songs and story is like a short and the ending is literally rushed with Dumbo being accepted by the other elephants but we never see that. I constantly found myself comparing this to Disney’s short Lambert the Sheepish Lion which wouldn’t come out till 1952; maybe it was the fact that both open with storks? The story itself is a bittersweet tale. 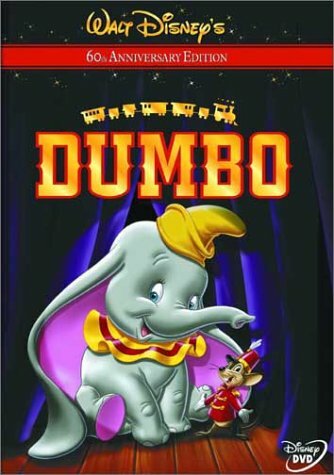 From the minute Dumbo is unveiled on the Casey Jr. circus train (which I always fail to connect the Disneyland ride to this film) you just want to eat him up. He’s adorable to be sure but the way he’s animated makes him truly look like a baby through his facial expressions…not that I think babies look like baby elephants. It’s a less refined technique than what Disney undertook with Bambi. Dumbo doesn’t speak throughout the film, making him the only titled character in a Disney animated film to be mute, but all the necessary emotion is conveyed through his eyes. His only problem in life are his large ears making this a film about overcoming adversity and sticking it to the jerks who pick on you! Dumbo’s mother is eventually removed and labeled “mad” for defending her baby (why the ringmaster doesn’t figure this out is a story element I blame on the rushed nature of the film or I’m overthinking the plot). From that moment on its open season for poor Dumbo. I think what’s the heart wrenching about this film and works to its advantage is the fact that Dumbo’s a baby! His relationship with his mother is still forming and it’s pure and sweet. The one scene of them playing with each other, tugging on their tails, is all that’s needed to establish a bedrock for their relationship and make the audience yearn desperately for their reunion. One of the film’s famous scenes is the “Baby Mine” musical number. 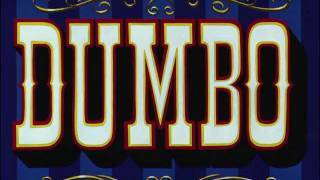 I’ve included it below to make you sob your eyes out and it’s another moment that doesn’t need dialogue other than the song and the simple image of Mrs. Jumbo’s trunk (the only thing able to creep out of her cage) rocking Dumbo. Their connection is so strong by this scene even though Mrs. Jumbo isn’t around. By connecting it back to all the other baby animals reunited with their mothers makes Dumbo stand out as lonelier. Damn, just thinking about it makes me tear up. If the singer sounds familiar it’s Betty Noyes who dubbed Debbie Reynolds in Singin’ in the Rain! Let’s diverge for a second and discuss songs. Before I rewatched this I only remembered two songs, the aforementioned “Baby Mine” and the creepy “Pink Elephants on Parade” which is still an acid trip and completely discombobulating to this day. During the film I did remember the final song of the film “When I See An Elephant Fly” but other than that the first few songs are kind of forgettable. The Casey Jr. theme song is good but there’s just something about the other tunes in this that don’t stand out leaving the three songs above as the only ones with true diversity in their presentation. I think Pinocchio holds the rest for the most memorable songs with Snow White coming up behind. I should keep track throughout. Our only other character is Timothy Mouse who shows up around the 30 minute mark to act as Dumbo’s mentor, protector, and the audience. He’s introduced voicing what the audience should be feeling, that Dumbo is an orphan and that there’s nothing wrong with him. 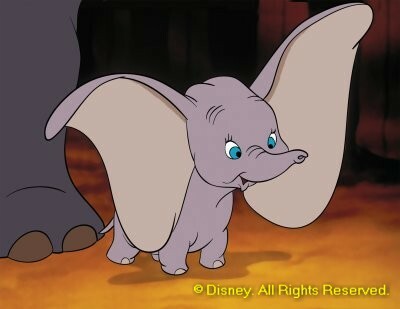 He states that Dumbo’s ears are “cute,” endearing him to the audience and showing he’s a true friend. He uses a psychological trick of imbuing a feather with magic to give Dumbo confidence (I had to giggle as I kept thinking of that Glee episode where Brittany loses the magic comb…yeah I know). From there it’s the old story of “he had the courage all along” and the movie ends happily with Dumbo being accepted by the other elephants and being reunited with his mommy. Again I find the ending to be rushed, literally with a minute left in the film but hey it all ends well. I wasn’t going to end with this but lest I forget we have a little light racism in the film’s final minutes. Dumbo and Timothy wake up in a tree (aiding their discovery of Dumbo being able to fly) next to some crows. You’ll see this technique employed in a lot of Disney movies before the Civil Rights Movement and it never feels anything short of racist. The crows all talk in “jive” and the head crow is named Jim on IMDB….get it? Jim Crow. I should mention that the character of Jim Crow is actually voiced by Cliff Edwards, yep Jiminy Cricket. The crows aren’t that offensive, not nearly as shocking to me as that “Abraham” number in Holiday Inn, but it is still shocking to see how Disney wasn’t that progressive for the time period. Okay so I won’t end with that. To sum up, Dumbo definitely is sweet and does a lot with a little. The plot is tight, sometimes too much so, and the main character is an adorable butterball you want to take home. The message of overcoming adversity and finding one’s inner strength still holds true and I continue to grow fonder of this movie every time I see it. NEXT WEEK: The 1940s keep going with the story of another animal, the orphan deer Bambi. Expect copious usage of the word “why” and possibly an Animaniacs short. Even if the level of detail is less with Dumbo, I really appreciate it’s bold use of color. I’m definitely a fan of Dumbo on the whole. I agree with you there, the color pops off the screen (another reason to watch all Disney movies on Blu or HD). I’d say Dumbo’s made the biggest leap – no pun intended – on my list of favorite Disney animated films. It’s easily top 10. Yes, the crows were obviously intended to be seen as black characters, but what were the adult elephants other than gossipy old white women? And of the two sets of characters, which were the most likable, the crows or the elephants? Most people would pick the crows anyday. True, I just noted it as the first instance of “controversy” in a Disney film that would continue with the portrayal of the Indians in Peter Pan and other characters that have been labeled racist.